Westfall Exteriors provides bobcat drilling services for decks and patio piles. With our equipment and services, you’ll have your piling holes drilled quickly and when you need them. We also offer concrete pouring services if you’re looking for more than just holes. 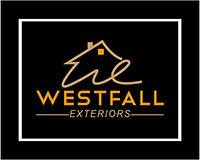 Call us today to talk to us about the bobcat services from Westfall Exteriors. Complete the form on this page to receive a free, no-obligation, on-site estimate at your convenience.